Eastvale Dental and Orthodontics wants you to have the dental care you need to enjoy a healthy smile. However, finances can keep many patients from seeking necessary treatments. Our Eastvale dental office provides many ways to make your treatment affordable and give you access to quality oral health services. The cost of your treatment can vary widely, depending on the procedure you choose, the processes necessary to complete it, and the materials used. As an example, a complex treatment plan that includes dental surgery can be costly, due to the potential need for specialized care and referrals to outside offices. High-end materials, such as complete porcelain or zirconia, can also increase the cost of procedures. - Materials – While completely tooth-colored crowns and bridges are highly advertised and utilized, they can be expensive. On the other hand, metal-based and amalgam restorations are cheaper to produce and therefore less costly for patients. If you need a restoration, choose one that has a metal base and an overlay of porcelain for both cost-effectiveness and aesthetics. - Opting for non-surgical treatment – In many cases, dental surgery is necessary, such as extractions or bone grafts. However, there are other instances where opting for surgical processes is optional and incurs added costs. Patients with missing teeth have the option for dental implants, which includes surgical implant placement, or bridges and dentures. Traditional bridges and removable dentures do not require extensive treatment and are generally more economical. - Prevention – When teeth have been damaged, restorations are certainly needed. However, a philosophy of dental prevention can minimize your risk of tooth decay and gum disease, which require more extensive treatment. Your twice-yearly dental cleanings are vital to keeping down the cost of caring for your smile over the course of your lifetime. At each dental appointment, our dentists review your treatment plan and offer plenty of choices to ensure your care is affordable and long-lasting. 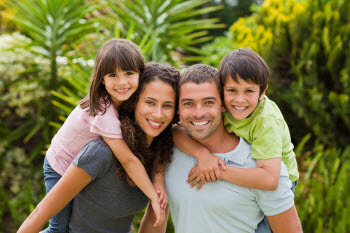 If your smile needs improvement, ask our Eastvale dentists how we can help you afford your care plan. We work with your insurance company to maximize available benefits and support third-party financing through programs such as CareCredit. We also frequently offer specials and promotions, which can help you save money on restorations and exams. Be sure to ask our office about current specials at your next visit our consultation.